The Federal Communications Commission (FCC) recently relaxed rules governing the use of electronics onboard aircraft. We can now use our growing collection of electronic gizmos during take-off and landing, not just during the cruise portion of the flight. But, during flight said gizmos still need to be set to “airplane mode” which shuts off a device’s wireless transceiver. However, the FCC is considering relaxing the rule even further, allowing cell phone use during flight. Thus, many flyers will soon have yet another reason to hate airlines and hate flying. We’ll be able to add loud cell phone conversations to the lengthy list of aviation pain inducers: cramped seating, fidgety kids, screaming babies, business bores, snorers, Microsoft Powerpoint, body odor, non-existent or bad food, and worst of all travelers who still can’t figure out how to buckle the seat belt. FCC, please don’t do it! If cellphone calling comes to airplanes, it is likely to be the last call for manners. The prospect is still down the road a bit, and a good percentage of the population can be counted on to be polite. But etiquette experts who already are fuming over the proliferation of digital rudeness aren’t optimistic. Jodi R.R. Smith, owner of Mannersmith Etiquette Consulting in Massachusetts, says the biggest problem is forced proximity. It is hard to be discreet when just inches separate passengers. And it isn’t possible to escape. “If I’m on an airplane, and my seatmate starts making a phone call, there’s not a lot of places I can go,” she says. Should the Federal Communications Commission allow cellphone calls on airplanes above 10,000 feet, and if the airlines get on board, one solution would be to create yakking and non-yakking sections of aircraft, or designate flights for either the chatty or the taciturn, as airlines used to do for smoking. • Will you disturb those around you? • Will you be ignoring companions you should be paying attention to? • Will you be discussing confidential topics? • Is it an emergency? The answer to the last question needs to be “Yes,” she says, and even then, make the call brief. 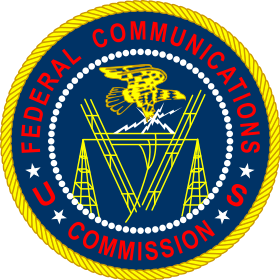 FCC Chairman Tom Wheeler said last week that there is no technical reason to maintain what has been a long-standing ban. Airlines are approaching the issue cautiously because many customers have expressed strong feelings against cellphone use. Minneapolis etiquette consultant Gretchen Ditto says cellphone use likely will become commonplace on planes since our expectations have changed about when people should be reachable. Electronic devices are taking over our lives, says Arden Clise, an etiquette expert in Seattle. We text during romantic dinners, answer email during meetings and shop online during Thanksgiving. Making a call on a plane is only marginally more rude. “Are we saying that our tools are more important than the people in front of us?” she asks. Even if you don’t know your in-flight neighbor, ask yourself, “Do I want to be that annoying person,” Ms. Clise says. If airlines decide to allow calls, punching someone’s lights out clearly wouldn’t be the best way to get some peace, says New Jersey etiquette consultant Mary Harris. But tensions often run high during flights, and fights could happen. If someone is bothering you with a phone call, Ms. Harris advises asking politely for the person to end the conversation. If that doesn’t work, you’re stuck. 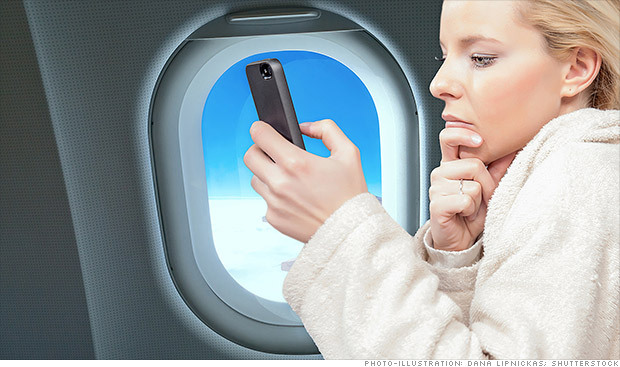 In-flight cellphone calls have been possible in Europe for several years. But U.K. etiquette expert William Hanson says they haven’t caught on. If you need to make a call, he advises leaving your seat for the area near the lavatory or door. If it is night and the lights are dimmed, “you should not make a call at your seat,” he says. Calls used to be possible on U.S. flights using Airfone units installed on the planes, but the technology never became popular. When people made calls, they were usually brief, in part because they cost $2 a minute, says Tony Lent, a telecommunication consultant in Detroit who worked on Airfone products in the 1980s. Several years ago, when the government considered lifting its cellphone ban, U.S. Rep. Tom Petri co-sponsored the Halting Airplane Noise to Give Us Peace Act of 2008. The bill would have allowed texting and other data applications but banned voice calls. He was motivated by “a sense of courtesy,” he says. The bill was never brought to a vote. Mr. Petri says he will try again if the FCC allows calls this time around. What if his bill doesn’t pass? “I suppose you can get earplugs,” he says. Image: Smartphone user. Courtesy of CNN / Money.